Get the answers to your questions about the new Infinity Blade 3 Blade Masters update. Chair Entertainment released a new Blade Masters update for Infinity Blade 3 that adds a lot of content to the game. Sharpen your skills on the Training Bot, as you'll need to be at your best to battle six different enemies and meet the Collector, a Deathless Blade Master. Who is the Deathless Blade Master? A Collector of fine weapons, the ancient Deathless Blade Master seeks to acquire the best ever crafted. 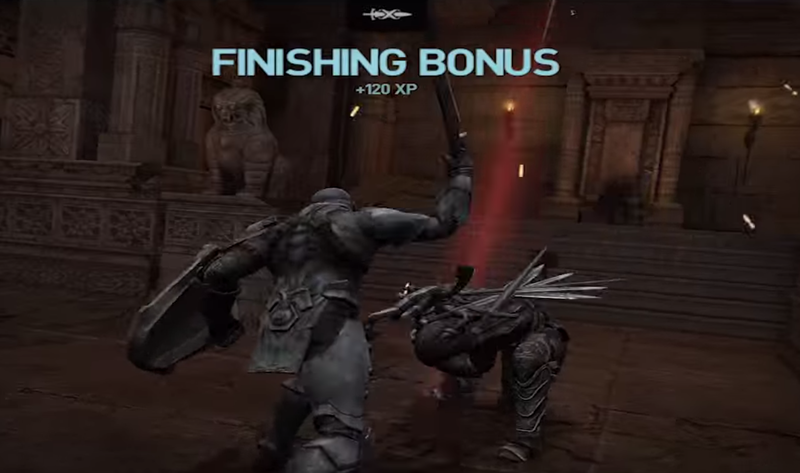 You can access the Collector's quest once you unlock Act 5 on each Infinity Blade 3 playthrough. Use either Isa or Siris to fight your way through Slot Canyon to the ancient temple to The Collector's lair. He has six exclusive weapons (three for Isa, three for Siris) and will fight you for the right to earn one of these at a price. Is The Collector worth fighting? After challenging the Collector in Slot Canyon, he'll start showing up randomly throughout your time in Infinity Blade 3. If you lose to The Collector, you'll have to challenge him for the weapon you lost. Claim it and you'll be able to fight for one of his exclusive weapons the next time you meet.